Cats and Dogs up to 70 pounds permitted. Limit 2 indoor pets per apartment. No exotic animals allowed. One-time Non-refundable Pet Fee of $500 for the first Pet plus $250 for the second pet. There is a monthly Pet Rent of $20 per Pet. What must I bring to tour an apartment? The combined household gross income must be at least 3x the rental amount. All monthly income will be verified. Income verification is required prior to final approval of the application for residency. One or more of the following documents must be submitted by the Applicant or Guarantor within 48 hours of the date of application: Last two paycheck stubs, current bank statement showing recurring payroll deposits, last year's income tax return. Due to the incidence of fraud in rental applications, we may request all verification documents be tendered by the applicant in "hard copy" format. Applicants whose proof of income is bank statements showing cash deposits will need to provide verification of income via tax returns. All residents living in an apartment must qualify to live at the property. Yes, as long as there are no damages assessed to the apartment. Please see the Early Termination Addendum. MTM is available upon renewal at Market Rent plus a monthly MTM Fee. Minimum of 7 to a maximum of 13 Month's lease. The shortest term accepted is a 7 Month Lease Agreement. We can connect you with Cort Furniture for exclusive rental packages as a ZRS resident. The resident portal online or contacting the office directly. Due on the 1st and late as of the 4th. The 4th of the month. Anyone that stays in a unit for more than 2 weeks, must qualify and be placed on the lease agreement. General parking is offered throughout; however, we do offer a reserved Carport for a monthly fee. In a regular parking spot like a car. Yes, all occupants in the apartment should be noted in the file and if over the age of 18 must qualify to live on site. Not on any of the balconies or within 10 feet from the building. Yes, as long as it is restored to the original color upon move out. Packages with no signature required will be accepted with the exception of large boxes, electronics or anything labeled that would be a high worth item. 1) The property is a gated community. 2) New, upgraded units are offered. 3) The Lakes has spacious floorplans. DIRECTIONS: Located between I-75 and I-95 on the South-East corner of Sheridan Street and Palm Avenue. Entrance is on Sheridan Street. Lianette has been with ZRS 9 years and a manager since 2014. She loves discovering new local restaurants and all things chocolate. Rhina has been with ZRS since 2012 but at Lakes at Pembroke for 11 years. She loves gardening and reading in her spare time. Euridice, also known as Uri, has been with ZRS since 2015. She is super sweet and dedicates her spare time with her church and family. Luz has been with ZRS since 2017. When we have our karaoke events she serenades us with her beautiful voice. Jose has been with ZRS since 2012 but has been at Lakes at Pembroke since 2009. He is always on the go but enjoys taking vacations to Dominican Republic yearly. Ever has been with ZRS since 2012 and with Lakes at Pembroke since 2009. He loves his pets and always has a smile on his face. Lazaro started with ZRS in 2018 but has nearly 20 years of maintenance experience. He is very thoughtful towards his family and friends and loves a good Cuban coffee. Omar started with ZRS in 2018. When he is not working, he spends his time with his family and at the soccer court. 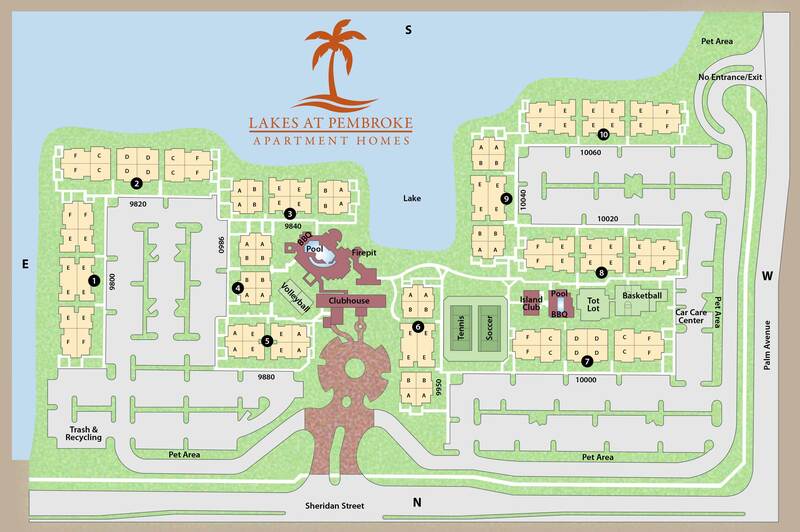 The Lakes at Pembroke Apartment Homes are revolutionizing what modern luxury Pembroke Pines, FL apartments can be. Let our apartment homes surround you with lush tropical landscaping and a refreshing Floridian atmosphere. Our community provides serene water views, peace of mind, and privacy. Residents of our apartments in Pembroke Pines, FL enjoy spending time in our elegant clubhouse, taking a dip in one of our pools, or working off a stressful day in our state-of-the-art fitness center. The Lakes at Pembroke offer luxury one, two, and three bedroom apartment homes that give you everything you need to live the way you want. Located near Cooper City and Miramar, our Pembroke Pines apartments for rent are pet-friendly and offer easy access to countless shopping, fine dining, and entertainment venues. Let the friendly leasing professionals at our apartments in Pembroke Pines, FL assist you in finding the luxury home you've always wanted.